Going to a fertility facility can be nerve wracking for any woman or man who desperately wants to be a new parent. There are not many things in life as awkward as the little room in which a man has to generate a sperm sample. Enter this bathroom, which was certainly designed with an original sense of humor. 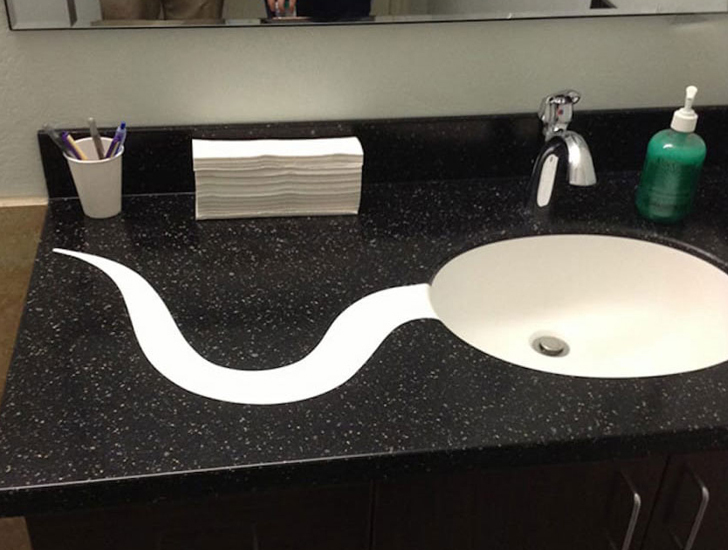 It may be hard for the man to become aroused if he’s laughing too hard at this sink design.